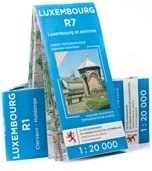 the creation, management, updating and distribution of official land and cartographic documentation in the Grand Duchy of Luxembourg. cadastral surveying in the Grand Duchy, regulated by the Law of 25 July 2002 establishing and regulating the professions of surveyor and official surveyor, is performed and supervised by the ACT. the management of the national geodetic networks. As manager of land and cartographic reference documentation, the ACT provides geodata, essential to any planning affecting the general arrangement of the territory and allowing the effective management of land ownership operation in the property market. A topographic map is intended to be an accurate representation of the terrain. It differs from thematic maps (city maps, road maps, etc.) by the richness of its content, its high precision and especially the representation of the topography by contour lines. 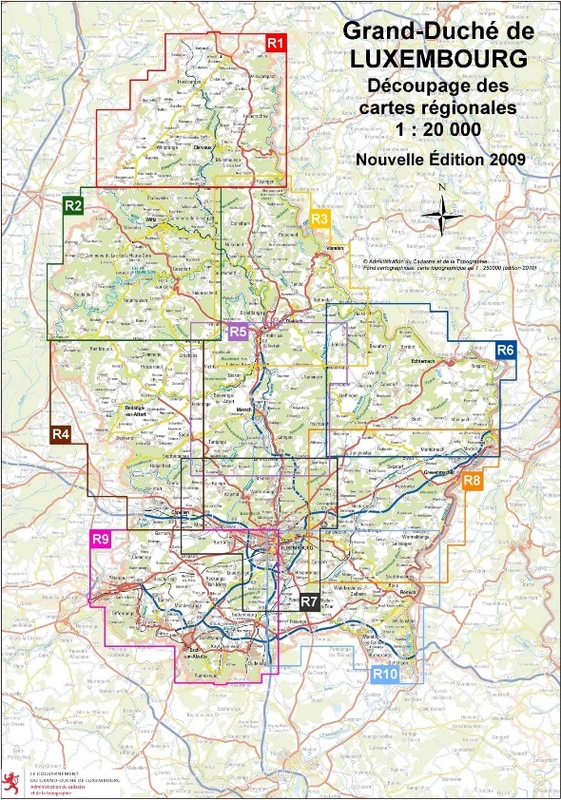 Moreover, topographic maps allow the geometric location of any element, since these maps are defined in the national coordinate system. basemap for various thematic and other maps. A topographic map cannot meet all the specific needs of such a wide range of users, but it must be a good compromise that meets the needs of the users best. 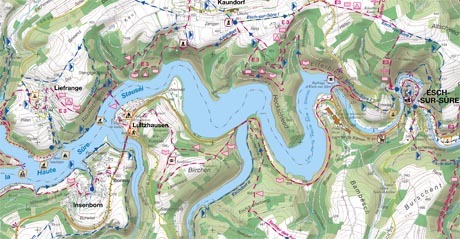 Topographic maps are updated regularly. The content of a map and the accuracy of the location of represented topographic objects depend on the scale of the map. Depending on the choice of the scale, the objects must begeneralized to ensure good readability of the map. 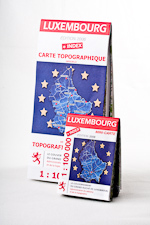 Craenen distributes the topographic maps of Luxembourg at scale: 1: 20,000, 1: 50,000 and 1: 100,000.
revision of the tourist information and leisure activities.